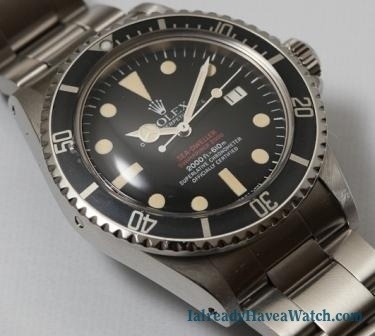 Antiquorum’s Upcoming Dec. 9 Auction – I Already Have a Watch. Next week Antiquorum will hold another auction of Important Collectors’ Wristwatches, Pocket Watches & Clocks on December 9 in New York. The Antiquorum-owned Timezone.com has its its customary preview of the Antiquorum auction with photos up for the curious that’s well worth a look. 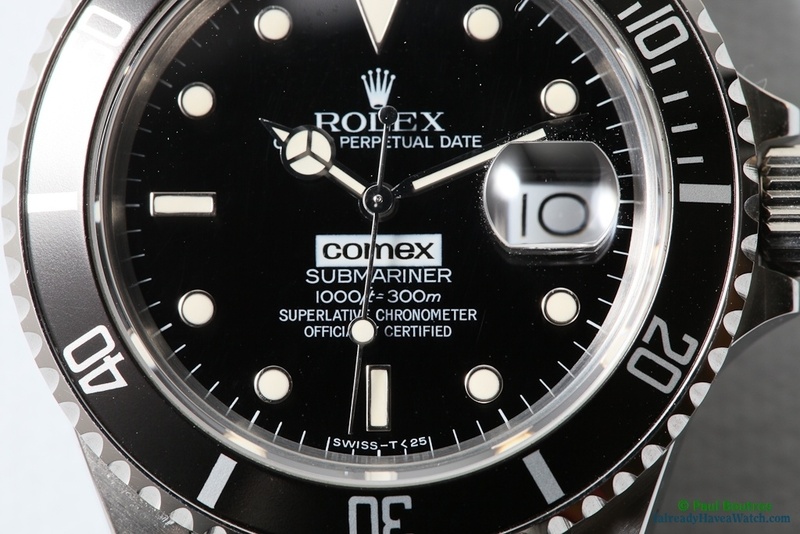 As might be expected, the catalog contains some very interesting and notable watches in the Patek Philippe and Vacheron Constantin arenas, as well as some seriously significant Rolex Submariners and Sea-Dwellers including a ref. 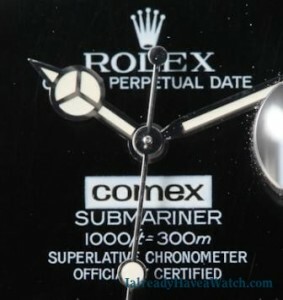 5514 and even an already rare Double Red Sea-Dweller from COMEX with very interesting provenance. There are scarcely any Omegas in the catalog, only 18 of some 402 lots. And as is typically the case, at least some of what’s on offer is problematic, much of the rest just unremarkable. Lot 25, what appears to be a franken construction of Chronometre movement and dial in a ref. 2179 "US Army" case. Photo: Antiquorum. Lot 25, for instance, is the sort of Frankenwatch that might be encountered on eBay from an unscrupulous seller. 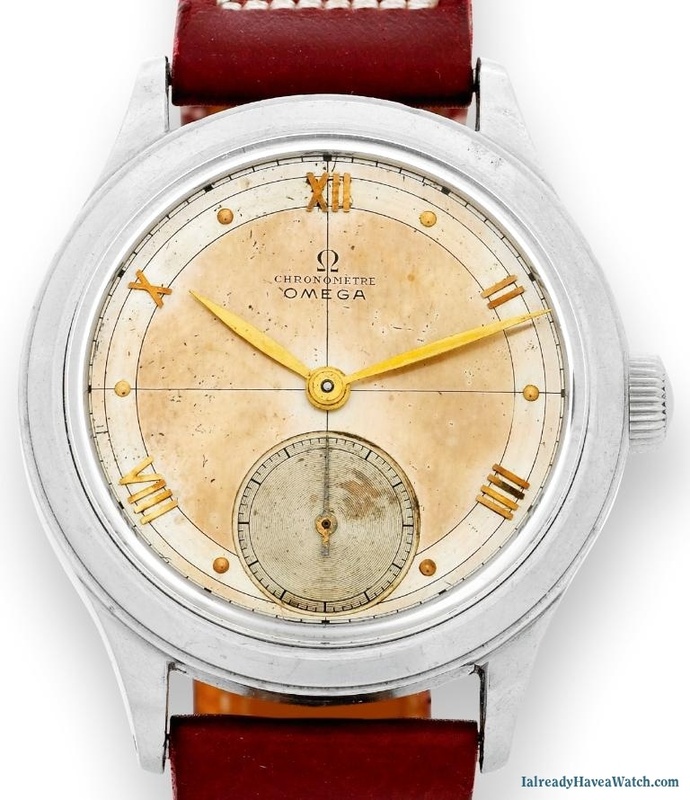 The watch presented appears to have been assembled from a rare Omega cal. 30T2Rg (described it as “30T2R”) Chronometre movement, hands, and dial dropped into the case of a “US Army” Omegas ref. 2179. Additionally a custom display back seems to have been added, referred to as “Glazed Reverse” in Antiquorum’s customary impenetrably imprecise jargon. From the condition of the hands and dial it would seem likely that the original gold case was sold for scrap decades ago, and the rest stored not so carefully in the interim before being dropped in a readily available if incorrect case. The resulting whole is less than the sum of its parts and doesn’t do any of the components justice. 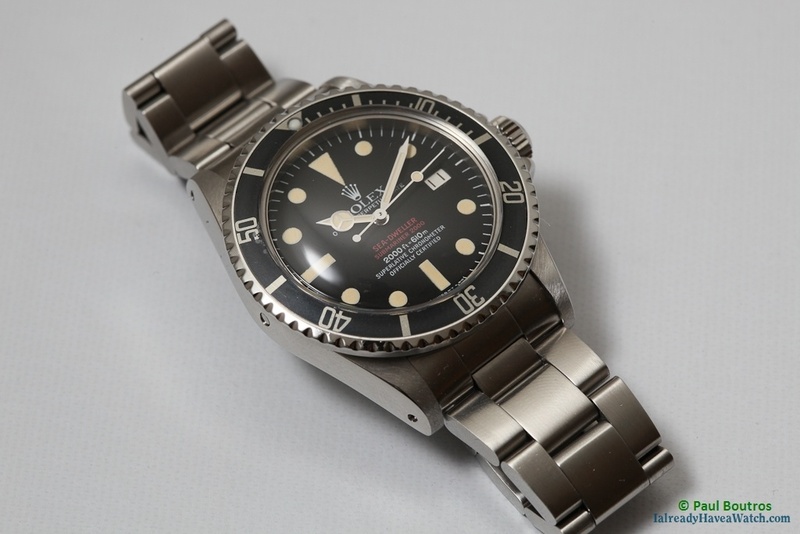 But bizarrely, if the movement is actually a 30T2Rg in good condition the $1500-2500 estimate might almost be a little low. Weird how that can work sometimes. Gandhi’s Zenith Pocketwatch at Antiquorum: Legit? Tagged with antiquorum, auction, Omega Watches, Vintage Watches.